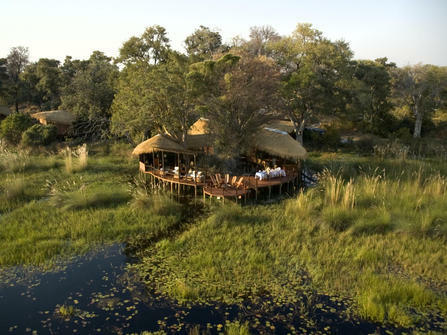 A delightful and fantastic value 6-day green season safari combining the verdant Kalahari Desert and the Okavango Delta. Out of season, the Delta still offers a fantastic and rewarding wildlife experience, whilst the Kalahari springs to life. Despite its name, the rains in the green season are relatively light and are not a significant disadvantage. 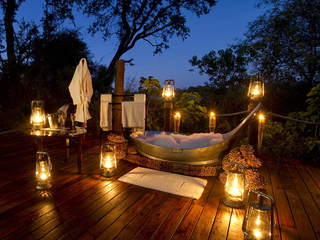 Accommodation in beautiful tented camps adds a touch of luxury to a truly authentic safari experience at a significantly reduced rate. Arrive via light aircraft at Camp Kalahari, a peaceful and remote camp located among the acacias of Hyena Island on the edge of the Makgadikgadi Salt Pans. 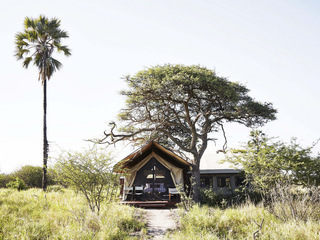 Camp Kalahari is a simple and traditional safari base offering comfort, good value and a fabulous range of interesting green season activities. The itinerary can vary, but Days 2 and 3 below outline a typical visit. 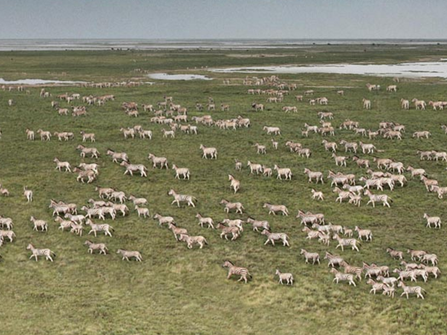 Dominating the centre of Botswana, the Kalahari Desert is quiet during the dry season, but when the rains come, the area springs to life and thousands of wildebeest and zebra arrive in search of fresh water and grazing. 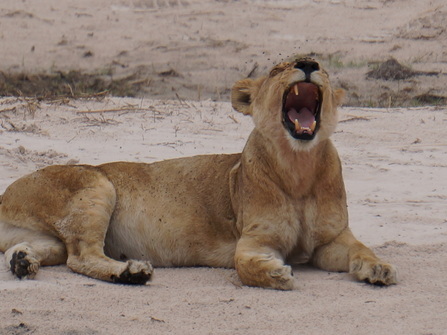 With predators hot on the heels of this massively increased game concentration, our green season itinerary takes advantage of the best time of year for sightings of the area’s famous black-maned lion, cheetah, leopard and the rare wild dog. 4WD game drives in and around the Makgadikgadi National Park allow visitors to soak up the scene, and spotlit night drives are often offered on the way back to camp in the evenings. Spend the morning with the meerkats! Due to an ongoing habituation programme, it’s possible to get really close to these inquisitive and endearing creatures, and many visitors cite this unique experience as a highlight of their Kalahari visit. Return to camp for lunch and a siesta. 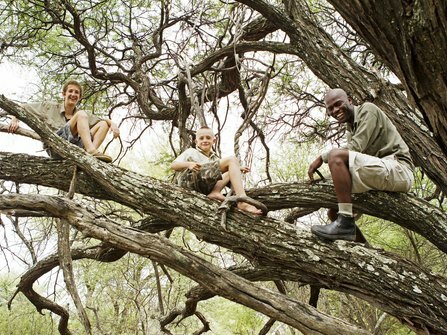 Spend the afternoon walking with the Zu/’hoasi Bushmen, learning about local flora, fauna and culture. 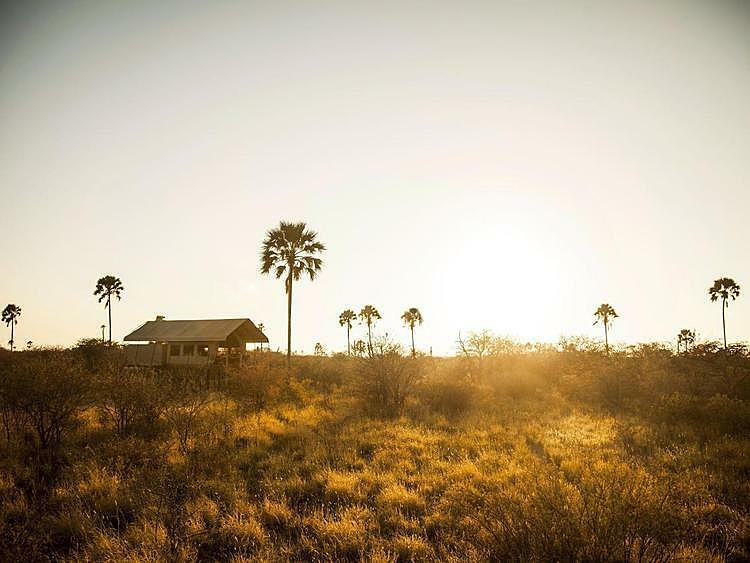 Back at camp, enjoy a relaxing evening and fall asleep under the famously clear night skies of the Kalahari. Transfer via light aircraft to the Okavango Delta and arrive at Sanctuary Baines Camp, located on a huge private concession bordering the Moremi Game Reserve. Nestled amidst a beautiful grove of trees, this luxurious but eco-friendly camp is set on stilts above the Boro River, surrounded by papyrus beds. 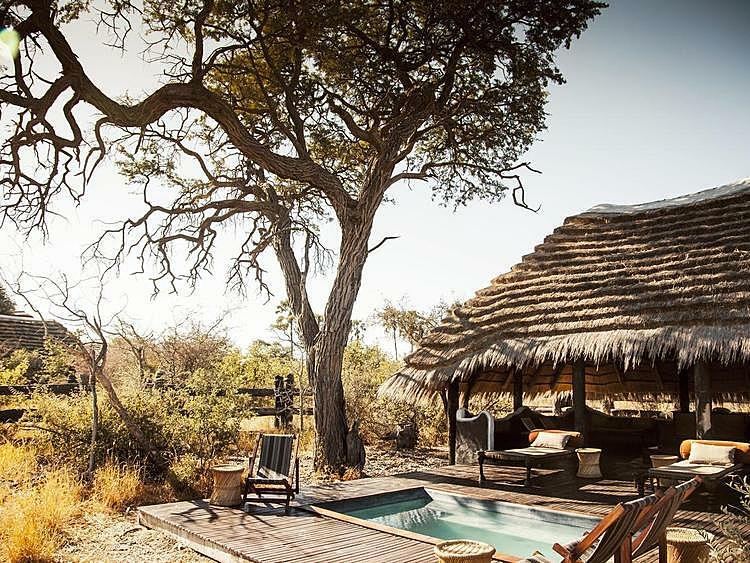 With just 5 suites and a lovely pool, a stay in this sophisticated camp is a real treat, and the relative affordability of a green season visit will only add to its charm. 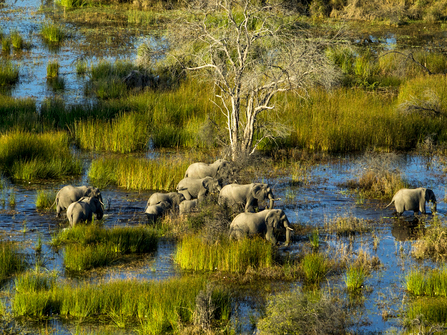 The untouched wilderness of the Okavango Delta is a wetland paradise, home to a high concentration of game and teeming with spectacular birdlife. 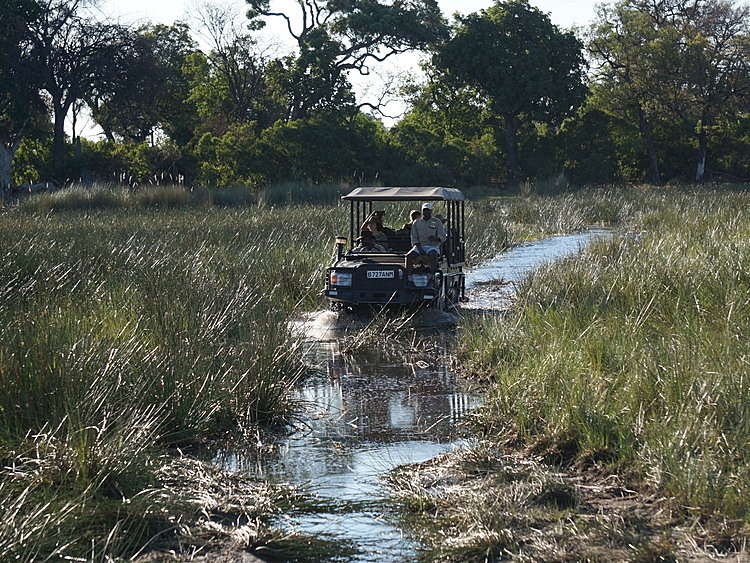 With desert, dry savannah, lagoon and swamps to explore, the range of activities on offer is superb. Baines Camp’s location in one of the many private concessions in the delta lends it an exclusive feel, with a sense of unrestricted access to the surrounding bush. 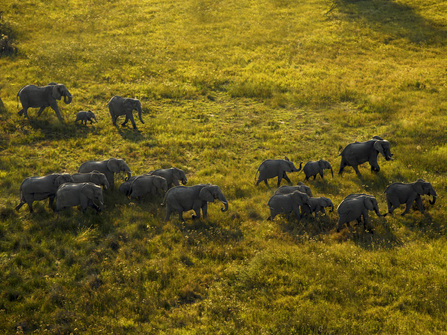 A highlight for many visitors is the ‘Living with Elephants’ experience. This is a small-scale local conservation project which allows guests to spend a day out walking with three resident elephants. During the green season, game viewing will mostly be concentrated on game drives, with mokoro (traditional canoe) and motorised boat trips subject to water levels. Back at camp, dinner consists of a three course meal in the intimate dining area, or private dinners can be requested by the pool. At night, weather permitting, beds can be wheeled out onto the private deck and guests can sleep out in the open air under the stars. 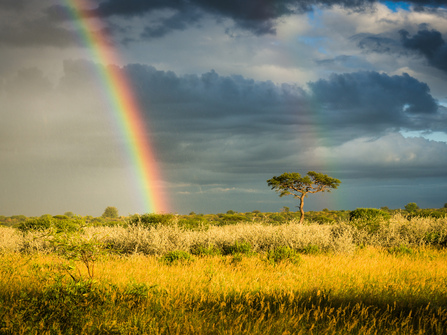 South African Airways and Air Botswana both serve Botswana (Maun and Kasane) from Johannesburg (daily) and most international travellers will fly into Johannesburg and connect either same or next day to Botswana. There are also less frequent services available into Botswana from Cape Town and Nairobi. Quoted Price is given for guidance and includes all meals, local drinks, park fees and scheduled shared guided activities at each camp / lodge. The rate also includes all scheduled road and small aircraft transfers. Following a conversation with our Botswana experts to understand your requirements, we will provide a detailed tailor-made itinerary and quote including or excluding International Flights depending on your preference. The green season offer is available from November to March. The rains are really no impediment, and are light compared to say the long rains in Eastern Africa. At worst, you will see some heavy downpours in the afternoons, with February seeing the worst of the river. 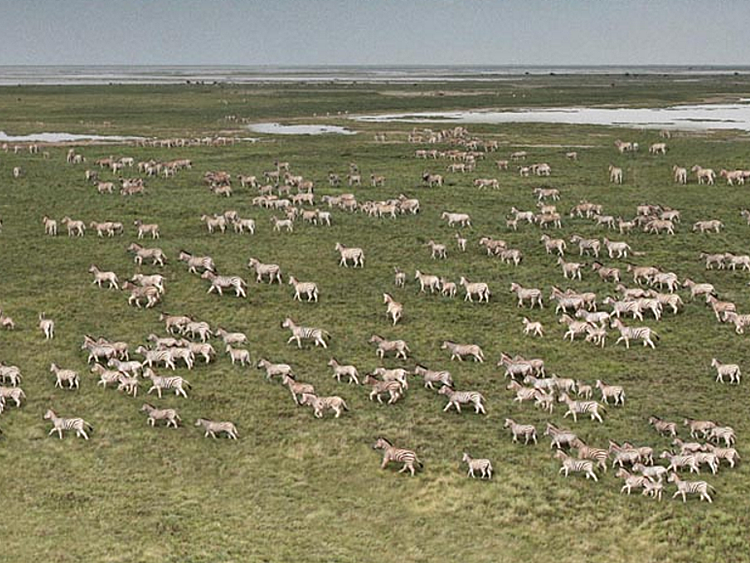 This is one of the best times of the year to see the Kalahari, the Makgadikgadi turn into a wetland with large wildlife populations attracted to the fresh new grasses. 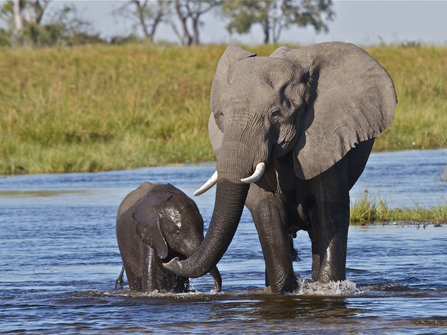 And whilst most of the channels of the Okavanga Delta tend to run dry at this time of year, the wildlife viewing can still be excellent with greater scope for wildlife intensive game drives. The biggest disadvantage is the lack of water activities such as Mokoro (canoe) trips. This is because the Delta is fed by flood waters from the Angola Highlands which are subject to different seasons to Botswana's sporadic rains.